Need a local roofing contractor? Titanium Restorations, Inc. is locally owned and operated and customer service is our priority. Headquartered in Bowie, MD, Titanium Restorations Inc. provides the same service and trusted commitment to every new customer that was provided to our very first customer. We have established ourselves as the top storm damage repair company in MD . and strive for a standard of excellence. Titanium is committed to quickly repairing or replacing all areas of your home that may have been damaged by a storm.  We utilize our experience, skill and quality craftsmanship to ensure your roof repairs will be done properly. Many times people do not even know that they have damage to their roof, or the extent of the damage that they have sustained. This is why we offer a no-obligation storm damage assessment. Our Titanium team knows where to look for evidence of damage especially roof damage that may require a roof repair. We will let you know the extent of your damage and work with your insurance company to repair the damage. Our team members oversee every aspect of the job and coordinate all onsite work from start to finish. Whether your home needs roof repair contractor or if your home has been victim to the latest area storm, call Titanium today. Headquartered in Bowie, MD, Titanium Restorations Inc. provides the same service and trusted commitment to every new customer that was provided to our very first customer. We have established ourselves as the top storm damage repair company in MD and D.C. and strive for a standard of excellence. Development by KR Media & Designs. © 2019 Titanium. All rights reserved.